C.S. 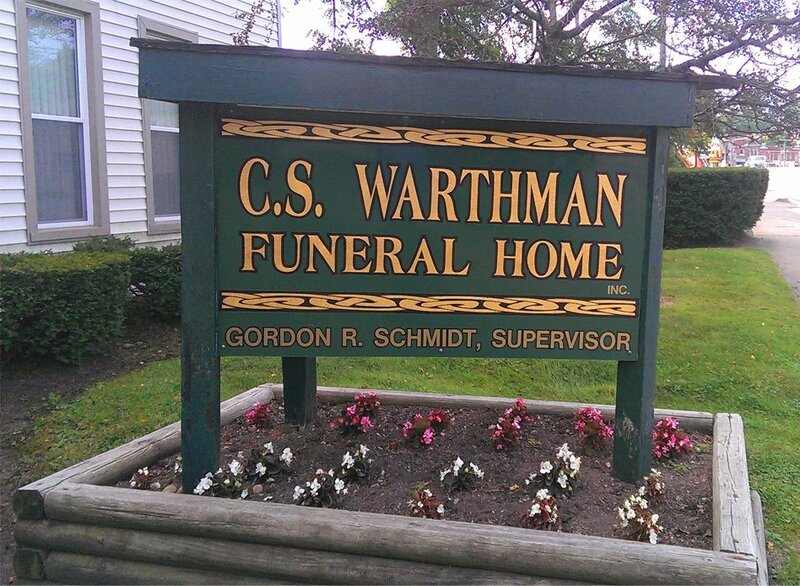 Warthman Furneral Home Inc. is a funeral home in Union City, PA.
Our goal at C.S. Warthman Furneral Home, Inc. is to provide you the most meaningful service for your loved one. From the moment you call us until the last form is filed for you, we want to make the process as easy and uncomplicated as possible. We will handle every detail for you, from writing the obituary to providing a check list of things for you to do for yourself and your own peace of mind after the funeral. We will provide you with many options to make this celebration a truly unique tribute to your loved one. Personalization of the service to meet the religious and social nature of the deceased is of utmost importance to us. This is a time for you and your family to come together and celebrate the life of someone you loved. When you gather with your friends and relatives, we will be there to guide you through the grieving process. Each of us grieves in a different way. There is no right or wrong way to grieve. We understand that, having been through it ourselves. Call us and let us help you create a unique and meaningful service for your loved one. We will assist you in any way possible.